This is my reminder post for the wonderful Rubber Dance Colour Challenge. 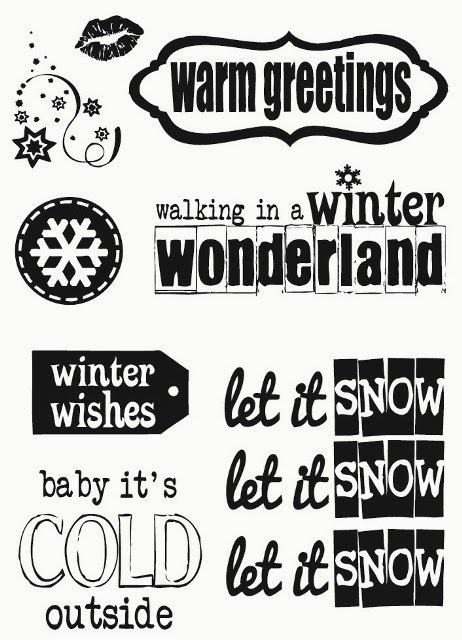 There is a prize of gorgeous stamps up for grabs so why not give it a go? 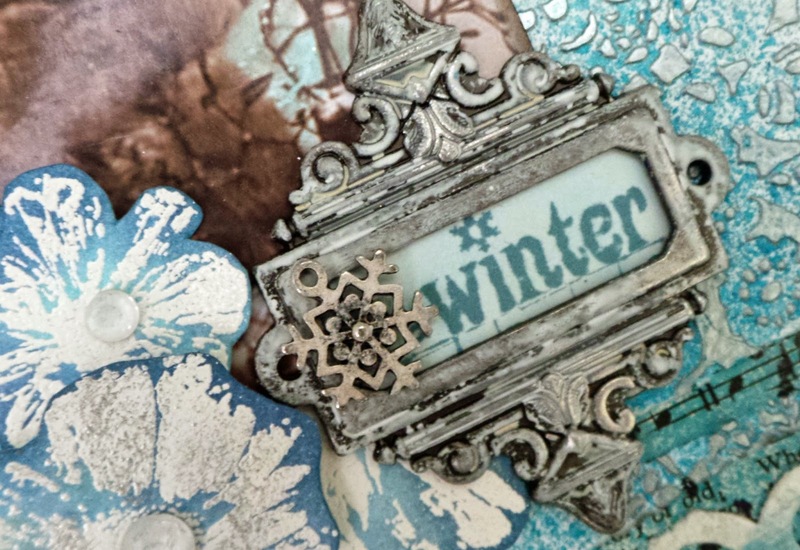 On this page, I wanted to use non-winter stamps to create a very cool and wintry journal page. My background is on watercolour paper. I stuck some book paper in place and sprayed with Distress Spray Stains (OMG I LOVE). 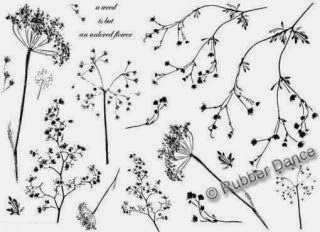 When dry I stamped the Weed Love images. 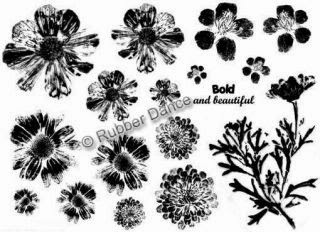 I stamped the Bold and Beautiful Rubber Dance flowers with Distress Embossing Ink and embossed them in white. I then cut them out and blended two colours of Distress Inks over them. 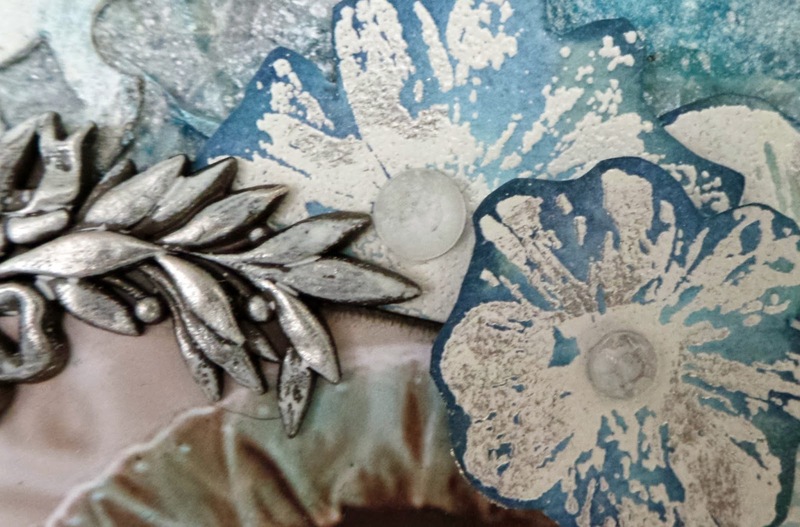 The metal pieces on here are treated with Picket Fence Distress Paint and Treasure Gold Pewter to blend them into the page. The gemstones on the flowers are also painted with Picket Fence to make them more subtle. Loved making this page - hope you like it! Beautiful and so very vintage, love it, Katy! That's so beautiful! 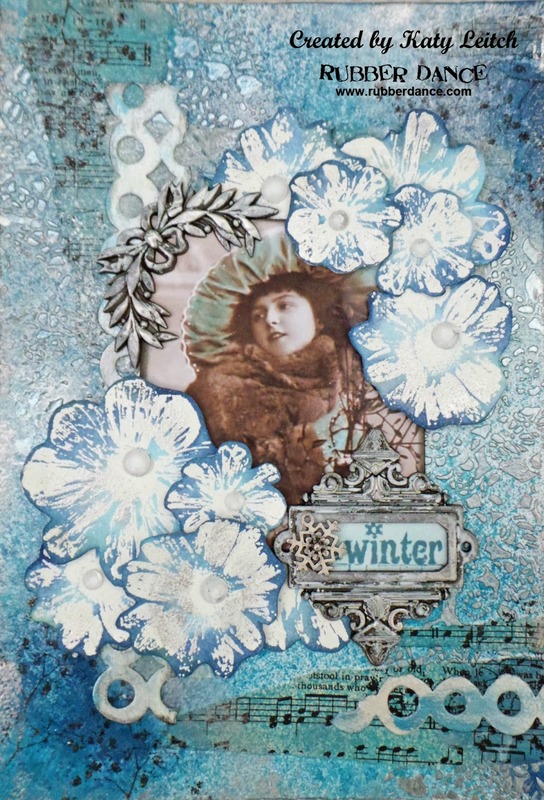 Gorgeous colours and textures and the stamps work so well. This is gorgeous. I love the colors and you have captured a wintery icy feeling perfectly. Wonderful layers and textures. Thanks so much for sharing it with us over at Frilly and Funkie!